A stark, pulsating beat sets the scene for this incredible new offering from LA-based producer, Eric Sharp. The flawless, reverberated vocals of indie-soul singer Zhao arrive shortly after, bringing with them a certain warmth and brightness to the song. Dancing delicately around sporadic percussion and brooding synthesisers, Sharp perfectly captures an element of suspense, keeping the listener engaged throughout the song. 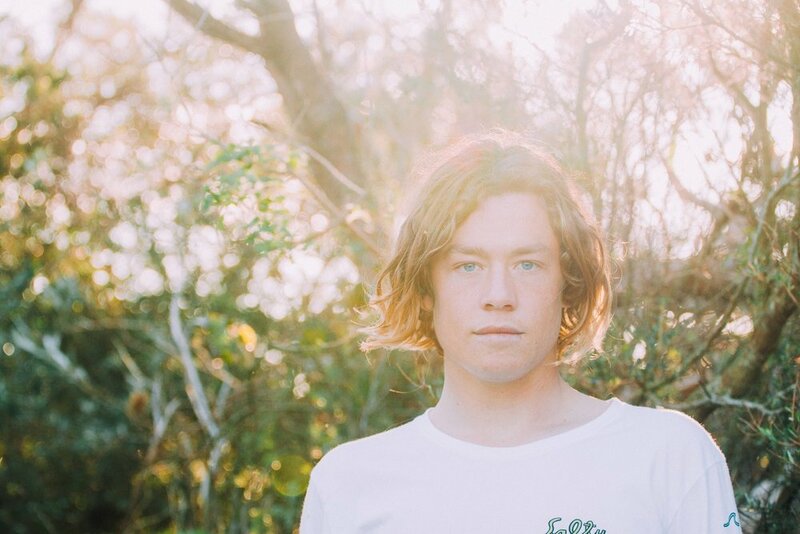 Recent triple j Unearthed feature artist OKBADLANDS just delivered their highly anticipated debut EP Tiny Measures, with the second offering on the record making an immediate impression. Transfixing the listener in an atmospheric soundscape, ‘Pty Ltd’ showcases stunning, intricately-layered harmonies, balanced perfectly by minimal instrumentation. From the touch of play, the track is utterly intoxicating. ‘Waves’ is yet another sonically textured gem from critically acclaimed Brisbane trio, MTNS. Ethereal vocals collide with dream-inducing synthesisers and undulating beats, forming a deep rhythmic groove that retains throughout the song. Crisp production enables each element of the track to shine, whilst ensuring they all blend together in perfect equilibrium. A stunning ode to personal failure. ‘Supermarket’ is the last single/closing track from Wild Honey’s dynamic debut album In Your Head, released earlier this week. The raw, emotional croons of front man Thom Moore collide with tender acoustic instrumentation, resulting in a poignant anthem for frustrated youth. The band continuously demonstrate their ability to deliver impressive and insightful indie rock tunes and Supermarket is no exception. The last single to be released from their impressive recent debut album Channel Four, ‘Mild Conversation’ is a charming concoction of pop sensibilities and breezy, sun-drenched rock n roll. Think genius chord progressions, bopping keys and intuitive lyrics, delivered effortlessly with the nonchalant attitude of front man Tim Karmouche. Once again, the band demonstrates an ability to incorporate vintage sounds, whilst remaining relevant with a modern feel. ‘Spill’ is an impressive slice of 90s-esque indie-rock, combining vibrant guitar licks, punchy basslines and emotionally-charged vocals. An ode to the trials and tribulations of young love, the single commands the listener’s attention from the touch of play, opening with gripping drumbeat that remains throughout the song. The track switches effortlessly between compelling verses and anthemic choruses, and demonstrates the Byron Bay trio's ability to consistently produce indie-rock hits. Next up, Brisbane-based producer Tabrill takes us on a sonic journey with new single ‘Lossless'. Delicate electronic soundscapes and hypnotising beats collide with the dreamy vocals of a mysterious songstress named ‘Emily’. Each element fuses together beautifully, further complimented by the scattering of eclectic sound effects. Overall, the track demonstrates this young producer’s ability to compose impeccable indie-electronic cuts. Sydney-based beatmakers, Midnight Pool Party, bring the summer vibes with latest single ‘Signals'. Mellow synthesisers open the track and float along effortlessly, melding perfectly with the smooth croons of lead vocalist Morilla, whilst a consistent beat transfixes the listener in a dreamy soundscape, building slowly throughout the song and peaking in the latter half. The song is yet another excellent production from the indie-electronic duo. Obscure instrumentation and eclectic beats set the scene for this intriguing composition. Elkkle’s signature raw vocals work in unison with scarce (yet pronounced) synthesisers, further enhanced by ethereal production. ‘Frails’, lifted off the producer’s forthcoming debut album Kitsune, skilfully combines themes of indie-electronica and R&B, proving the young producer’s ability to deliver dynamic, electronic cuts. ‘Come Over’ is instantly impressionable, making a grand entrance with the undeniable talent of featured vocalist Hayden Buchanan. Careful not to clutter the composition, Lamalo introduce soothing synthesisers, which dance curiously around minimal beats and leave the vocals front and centre. The Sydney-based duo successfully incorporate digital and acoustic instrumentation, resulting in a gleaming indie-electro track that retains pop sensibilities. Today Rare Finds is stoked to bring you the first listen of Jake Edwards’ stunning remix of Touch Sensitive’s ‘Lay Down’. The young Central Coast-based producer has stripped back the slow-burning house-infused cut into an intricate slice of down-tempo electronica, driven by saw waves of analogue pads and glimmering with dream-laden synths. The upstart describes his approach to production: “I attempt to keep my music hovering on the line of electronic music and band, using as many live instruments as possible with the taste of analogue chords and nostalgic progressions”. Starting subtly with an array of soft sonic textures is the new single ‘Waiting’ from Brisbane artist / producer, The Kite String Tangle (real name Danny Harley). Lifted from his newly released debut self-titled album, the opening track is an ethereal slice of electronica glimmering elegantly from start-to-finish. Gradually ascending into its pulsating beat and house-infused bass-line, the thumping elements suddenly drop off as Harley’s soothing vocals and piano take focus; creating an undeniable sense of awe and endearment. As ‘Waiting’ progresses to find its next gear, Harley continues to tease with a series of crescendos, yet firmly maintains control and avoids being formulaic and predictable. It’s meticulously structured and awash with finesse, evident through its smaller intricacies. Along with the whole album, ‘Waiting’ was written in Harley’s bedroom in order to retain a ‘bedroom producer’ ethos, wanting to capture something honest. New Sydney-based dance / hip-hop collective ‘Haiku Hands’ recently revealed their party starting debut slice ‘Not About You’. Commanding immediate attention, ‘Not About You’ hits hard with its infectious compressed bass line melody, synth pads and beats; unapologetically thumping along from start-to-finish. The vocals follow shortly after with undeniable Aussie swagger and charm, also refusing to reduce intensity with alluring energy and angst. Taking cues from the likes of M.I.A., Die Antwoord and Le Tigre, the group still manage to deliver a sound that is instinctively them - an impressive feat for any artist on debut. Although it’s their maiden track, it appears the girls are quite versed across various creative and performance based capacities. They’ve been involved in collaborative works with El Gusto (Hermitude) and Joelistics, amongst many other impressive projects and feats. 'Not About You' is one of the most exciting tracks we’ve heard from an Australian artist this year and we can’t wait to hear more. Sydney-based, Le Pie, unveiled her incredibly dark & beautiful first single 'Secrets' in January earlier this year, receiving strong support and praise from triple j and worldwide blogs. The indie-pop songstress has recently returned with 2 brand new singles 'Josephine' and 'When We Talk'; both lifted from her forthcoming debut EP, 'And he said, honey you look so fine’. 'When We Talk' is driven by a slow-burning, progressive tempo that touches on an even darker side of Le Pie. Textured and layered with deep bass driven grunge-like synths, a powerful rhythmic section and capped off with hauntingly seductive vocal melodies and execution. Whilst retaining its own distinct characteristics, 'When We Talk' is still as comparably riveting and breathtaking as 'Secrets' and further cements the likelihood that we will be seeing and hearing more from this talented young Newtown lass. There's absolutely no denying my love for Melbourne 6-piece Lurch & Chief. This band has been one of my favourite Australian acts ever since they released singles 'It's Easy' and 'We Are The Same', taken from their debut EP 'Wiped Out'. Recently the band released lead single 'Fading Out', which received strong support from the likes of Triple J and community radio. They have since followed up with another track 'Breathe Out', giving us further insight into their progression as a band and what to expect from the sophomore EP 'Breathe'. A darker, more haunting sound is definitely the theme so far here for me, 'Breathe Out' strongly highlights the bold shift in direction and will leave a lasting impression on fans and tastemakers alike. In support of promoting the new record, the Melbourne sextet has also announced their biggest national tour to date, hitting the road throughout May and June - Click here to view dates. Melbourne indie-rock 4-piece, The Pretty Littles, have just churned out a brilliant new single 'Man Baby'. From the opening note I immediately feel like I am sitting in a smoke-filled bar, down on my luck, then this song kicks in - it is the soundtrack to all my woes - and cue for another shot of whisky. 'Man Baby' is a beautifully arranged, eclectic gritty rock n' roll number, filled with gorgeous vocal melodies and guitar tones. Guest vocals come from the bands friend only known as Alice and her moniker 'Dix-Pix' - with a voice so sweet, you have to wonder why she has chosen such a 'charming' name, YOLO I guess. The Pretty Littles perform live at the sold-out 'The Hills Are Alive!' Festival, taking place this weekend, Friday 27th-Sunday 29th March in South Gippsland, Victoria. Spring is in the air and Sydney trio NOIRE have just released a perfect pop gem to welcome in the good weather. The new single titled 'Those Days' was recorded with multi-ARIA award-winning producer Wayne Connolly (The Vines, You Am I, Youth Group). 'Those Days' has a pop sensibility that is new and exciting. Blending atmospheric synths, dreamy guitar licks, beautiful harpsichord and Jessica Mincher's airy vocals, NOIRE's music is a breath of fresh air in the current Sydney music scene. Perth-based garage duo Hamjam is comprised of members of The Growl and Gunns. The guys have just released their latest single 'LOVE' from their forthcoming self-titled EP (to be release on October 10 via the legends at Pilerats). The single contains plenty of psychedelic guitar hooks and infectious, skuzzy, sing-along vocals. Effortlessly chill, like the west coast of Australia, 'LOVE' is destined to be a summer favourite across the airwaves and road-trip mixtapes from here to Timbuktu! Lanks is the solo work of Melbourne multi-instrumentalist Will Cuming. Cuming released his debut EP 'Thousand Piece Puzzle’ three months ago, and has this week followed-up with a brand new single titled 'Brave Man’. Lanks displays his incredible aptitude for diverse songwriting and composition on 'Brave Man’ - creating beautiful soundscapes full of sharp production, and progressive guitar and synth parts similar to Alt J and Fractures. 'Brave Man' is completed with Lanks' signature deep and emotional vocals. Sydney's Burn Antares draw inspiration from the '60s, classic rock'n'roll from the '70s and country music. The five-piece, fronted by charismatic front-woman Grace Farriss, have just released their new single titled 'Crystal Love'. The song is also accompanied by a groovy video, which you can view here. 'Crystal Love' is the first single from their forthcoming LP 'Fur Coat & The Peace Boat' (due in October 2014). Catch them on tour this September - dates can be found here. 'Everytime I Go' is the first single from 'Cafe Romantica’ - the collaborative debut album by Andras & Oscar, aka Andras Fox and Oscar Key Sung. The song is a blissed-out banger, boarding on minimal house, techno and soul. Oscar’s yearning vocals are soothed by Andras’ warm, hypnotic production. The good folk at Chapter Music will release 'Cafe Romantica' in Australia and New Zealand on October 17.